Stone Mountain Adventures Teen Summer Camp will be in Cherry Hill, NJ on Monday, February, 11th to attend a Teen Summer Expo! According to the Teen Expo Web Site: Just for teens and their parents! Avoid endless online searches and overwhelming camp fairs with little kids. Meet personally with the directors of 40 of the best summer programs only for middle and high school students. Programs for all interests and at all budgets. Ask questions about programming, safety, costs & supervision. The Expo will be held in the social hall, which is down the hallway on your left when you enter the JCC. Pre-register to receive an email reminder and a list of all programs attending. FREE and OPEN TO ALL. 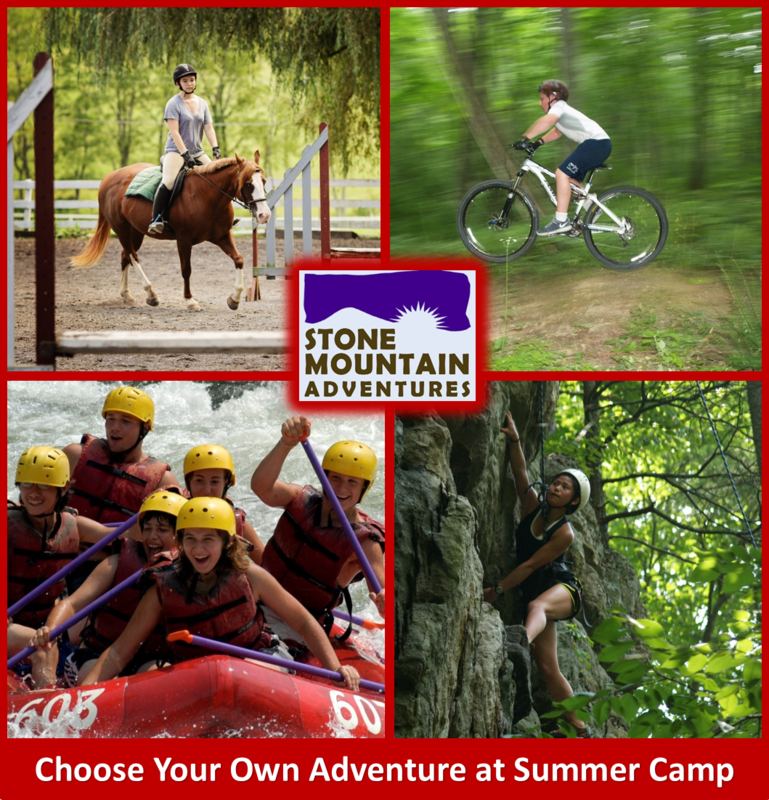 Stone Mountain Adventures (SMA) is a co-ed overnight camp for teens ages 12-16 located in the mountains of central Pennsylvania. Our adventure activities provide the opportunity for young adults to challenge themselves to step beyond their abilities: to ride with confidence, to rock climb with technique, to control the sail, or to bike one more hill. We create a non-competitive atmosphere where campers have fun, make lasting friendships and feel safe trying new activities. With only 60 campers per session, SMA is a small, non-competitive adventure camp. With 1 staff member to every 4 campers, camp feels like a great big family, full of good friends. We celebrate our victories, accept our shortcomings, and learn from both. As the days flow by, our philosophy of respect and sharing emerge. We learn respect for animals, the outdoors, and each other. As strong individuals, we come together as a summer family, learning and having fun together. Oh yea... and did I mention we have FUN!